Millennials, or digital natives, as they are often called, have dominated news headlines in recent times thanks in large part to their unique makeup and thorough knowledge of technology. They represent the largest generation in history and have substantial purchasing power. Such is their collective strength that millennials have already become a significant influence in shaping future trends. 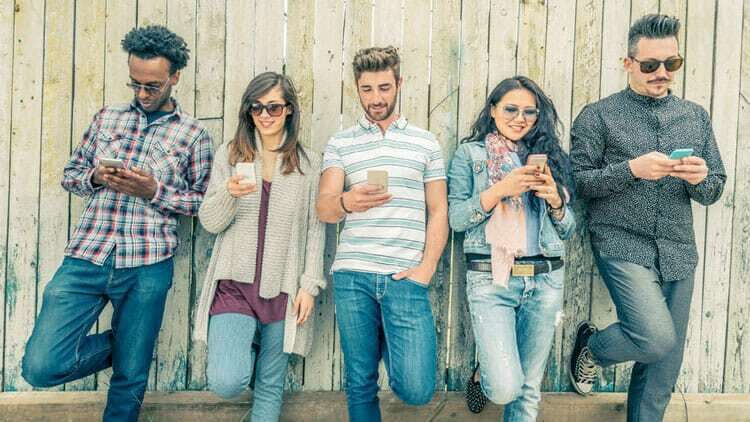 Even though they aren’t afraid to put their purchasing power to use when the occasion calls, millennials continue to be the driving force behind change in finance matters. Below, we discuss how they manage their money differently from their elders. Millennials are never far away from their smartphones. They use apps to track all the transactions and expenses they make on an everyday basis. Apps like Acorns encourage millennials to save by rounding up their purchases to the nearest whole-dollar and invest the difference in a diversified exchange-traded fund portfolio. Another program, the Moneybox app, links to a user’s bank account, prompting them to round up digital transactions to the nearest pound, investing the funds into a stocks and shares Isa. M1 Finance, Robinhood, etc. are other apps millennials resort to for investment. Millennials desire convenience and control, investing apps give them that. Millennials are strategic about how they save money and how they spend it. Most of them won’t make purchases unless they have read reviews from friends, peers, or strangers online. Smart and knowledgeable, they look over product specifications in detail to be sure an item is worth splurging on. They are careful about spending more than they have the budget for. Millennials won’t stick around if they can get the same item for less elsewhere. Loyalty means nothing to them unless you recognize and reward them for it. The point is, millennials want to save every cent they can. After growing up during the great recession, millennials recognize the importance of an extra income stream. Creating multiple income streams allows them to diversify the various cash flow sources and decreases their risk of having their primary source of income suddenly dry up. Freelancing platforms like Fiverr and Upwork offer them opportunities to put their skills to work and pick up some extra money on the side. A CNBC report states that around 51 percent of millennials in the US are running side hustles, with the most popular side hustles being home repair/landscaping and babysitting. A good number of millennials also buy and sell products online via e-commerce platforms like eBay, the report said. In this electronic technology age, millennials do not want to spend all day sitting at the office desk for the sake of appearances. To win the hearts and minds of millennials, therefore, organizations will need to provide a flexible work schedule. Also, millennials tend to favor jobs that give them some personal time to work on personal projects. The world of finance is continuously changing and evolving, with millennials at the heart of it.